Our #1 concern is to give you high-quality work at affordable plumbing costs. We will assess the situation, detect your problem, and began working to bring you a resolution ASAP. Our Raleigh plumbers will be more than pleased to give you an estimate for any service you request. Don’t procrastinate and let your plumbing get worse, give Golden Rule Plumbing a call today. With many years of experience in the industry, you can be confident you’re dealing with the best Raleigh plumbers. With us, you get respect and courtesy at all times. Our plumbing contractors work diligently in creating a substantial level of trust with you. We realize the significance of having functioning drains and pipes in your business or residence. Our plumbers in Raleigh, NC also know that plumbing problems don’t usually happen between 9-5. This is where our 24/7 emergency plumbing comes in. We always intend to give our customers 100% total satisfaction. If there are strange noises coming through your pipes and drains, reach out to us to make an appointment for a plumbing inspection. Finally, an Honest Plumber in Raleigh that you can depend on! Our Raleigh plumbing techs can re-pipe if your old pipes are too corroded to keep your water flowing accurately. If a pipe or water line should burst in the middle of the night, our team is on its way ASAP to fix the problem and save your home or business from further damage. Are you experiencing low or no hot water? Reach out to us so we can inspect your water heater and let you know if you need to replace it or it is repairable. With experience in indoor and outdoor plumbing, we are your top source for maintenance, repair, replacement, or installation needs. We have the capability to diagnose your plumbing problems with precision. 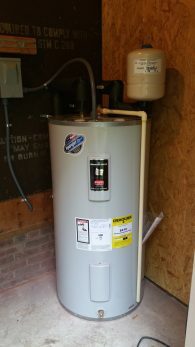 With our services, our professional plumbers can manage any problems with your water heater, whether it is a gas water heater, electric water heater, or tankless water heater. Hot water tank maintenance is our specialty, and we would be glad to resolve your hot water problem. We know there’s nothing worse than wanting to relax with a hot shower or soak in your tub only to discover there’s no hot water. When you contact us, there’s no need to be troubled. We are problem solvers, and our plumbers are reliable and trustworthy. They will respect your time, money, and property by concentrating on providing fantastic plumbing work without cutting corners. Let our knowledge and skills work for you. 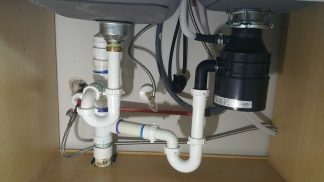 We are a full-service plumbing contractor in the Raleigh, NC area. Our crew takes great pride in our workmanship, and we deliver courteous and ethical plumbing services. 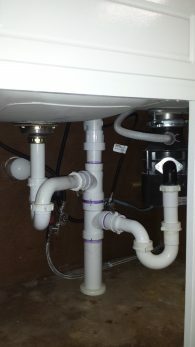 Our Raleigh licensed plumbers use only premium plumbing equipment and the most current plumbing techniques. We will be more than happy to help you with replacing or repairing any part of your plumbing. Our Raleigh plumbers can fulfill all your plumbing requests. As a plumbing contractor, we offer home renovations that bring functionality and style to your work or living space. We are a one-stop shop that will manage your plumbing project from beginning to end. Our crew takes great pride in its capability in completing a job on budget and on time. We are devoted to giving you nothing less than high-quality craftsmanship. Our objective is to go beyond your expectations. The staff at Golden Rule Plumbing Services has years of expertise in giving precise plumbing services in Raleigh, NC and the surrounding areas. Our huge range of first-class workmanship and incredible customer service is matchless by other Raleigh, NC plumbing companies. When we come to your commercial or residential property, we’ll treat you and your property with maximum respect, including cleaning up after ourselves at the end of every workday. Our plumbers are committed to your absolute satisfaction every time you hire us. We are the leading contractor for plumbing in Raleigh because we are the best at what we do. If your search includes looking for “the best plumbers near me,” there is no need to look any further than Golden Rule Plumbing Services! We ensure that you will be thoroughly pleased with the performance of our plumbers. You are just a quick phone call away from resolving any plumbing problems you are facing in your business or home. Don’t let a small leak or plumbing problem become a huge issue. 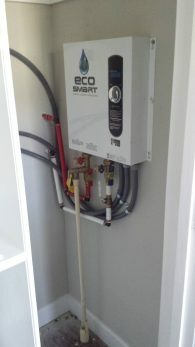 Regardless if you need a hot water heater installation contractor or a garbage disposal repairs contractor, no project or repair is too small or too big for us. Our plumbing crew handles the issue swiftly and efficiently to stop the problem in its tracks. 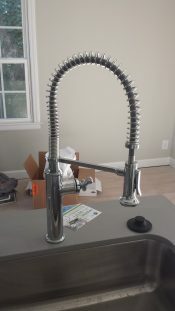 When you are picking a Raleigh plumber, it is crucial to select one who is insured and licensed to safeguard your property and your investment in your plumbing project. Our contractors perform the work that other Raleigh plumbing companies reject because they don’t have the expertise, knowledge, and skills. We treat all of our clients with the utmost respect and politeness, and our track record shows just that. Our plumbers have exceptional standards, and we do not jeopardize losing it anytime we are serving your home or business. Our high standards are why we function as a “customer first” Raleigh plumbing company, and we guarantee to present top-quality plumbing services with unparalleled customer service. We employ only the most dependable Raleigh plumbers, and we stand by our work. Regardless what your residential or commercial plumbing need is, we are efficiently trained to be of service to you.